Seoul was abundant with remarkable and sundry gifts. eyelids and clouded my mind, the energy and excitement of the city was clear and palpable. Later that night, we fell asleep 18 stories high, listening to the sound of Korean protestors. They protested by singing national songs in unison. The sound of their voices was beautiful. We’d been warned of the protests but assured by hotel staff that Korean protests these days are safe, and resemble something more like a festival. That night, I sensed that the Korean people know lament, hope and their commitment to one another in the midst of both things. Most of the week, Matt and I were on our own, taking the city in, enjoying the food and culture and being together. It was a forced babymoon. 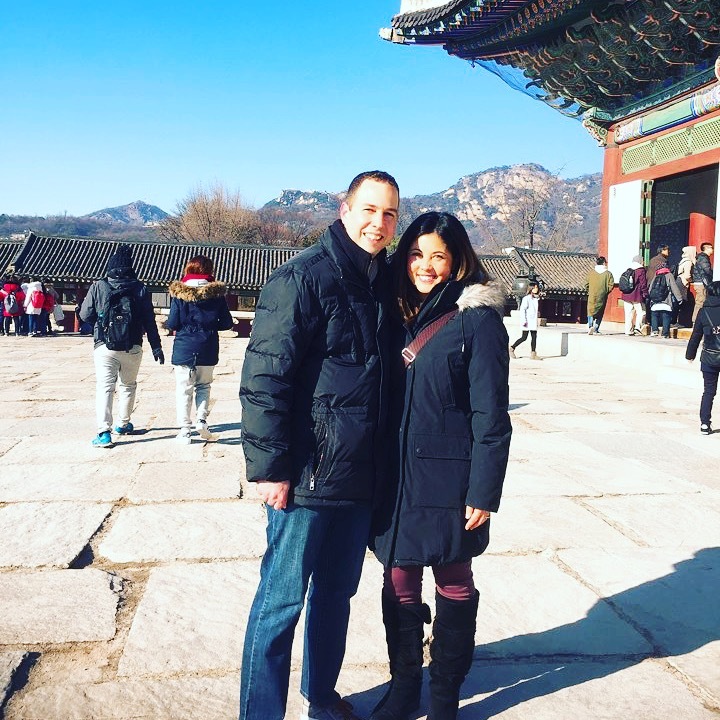 We went to Korea to meet our girl but the way the meetings were set up left a lot of open space. We walked all over the city and rode the subway from one district of the city to another, taking everything in. There’s something about exploring a city that makes my heart come alive. It’s been years since Matt and I have worked or lived and travelled internationally together, and I’ve often wondered if those experiences were just experiences of the past. But in Seoul, it was such a gift to realize that we are still a great travel team and still do really well navigating a foreign city together. There were 2 meetings set up with our agency: the first to meet E and the 2nd for more time with her. I was so nervous before our first meeting. There were 16 other adoptive parents there while we were. They split us up into two groups and one group had their meetings in the mornings while the other had them in the afternoons. On the first day, along with 7 other couples, we entered a large meeting room. The chairs and tables had been stacked and placed around the edges of the rooms. The room was full with us, our children, their foster moms and agency staff. A plastic tub of toys was laid in the middle of the room for the children to play with and there were snacks and bottles of water by the door. of Goldfish crackers and then asked her if she would share one with us. Sharing food builds bridges, doesn’t it? Towards the end of our first meeting, Matt got her to smile and laugh; witnessing those moments of connection were like witnessing the moment when a child receives a brand new, bright red balloon. I loved seeing a new side of my husband as he reached out and gently tried to connect with his little girl. We played peek-a-boo with her and discovered that she loved looking out the high-rise windows and pointing at all of the cars, buses and people down below. She is delightful and beautiful and it was clear that she has been incredibly loved. Before meeting E, I wondered if it would feel strange to want to be close to her or love on her. With our boys, I’ve known their expressions and their scent from day one of their lives. I was afraid it would feel different with our E. And yet, in the three hours we had with her, I can confidently say that while some moments did feel strange and new, the desire to know her and learn her and draw close to her was no different. There we were in this large meeting room: adoption agency staff, Korean foster moms, and adoptive parents from all over the world. We were a global team brought together in time and space because these children are worth so much. The Kingdom of Heaven belongs to them. of who our child is and who it is we have been waiting for and still wait for. 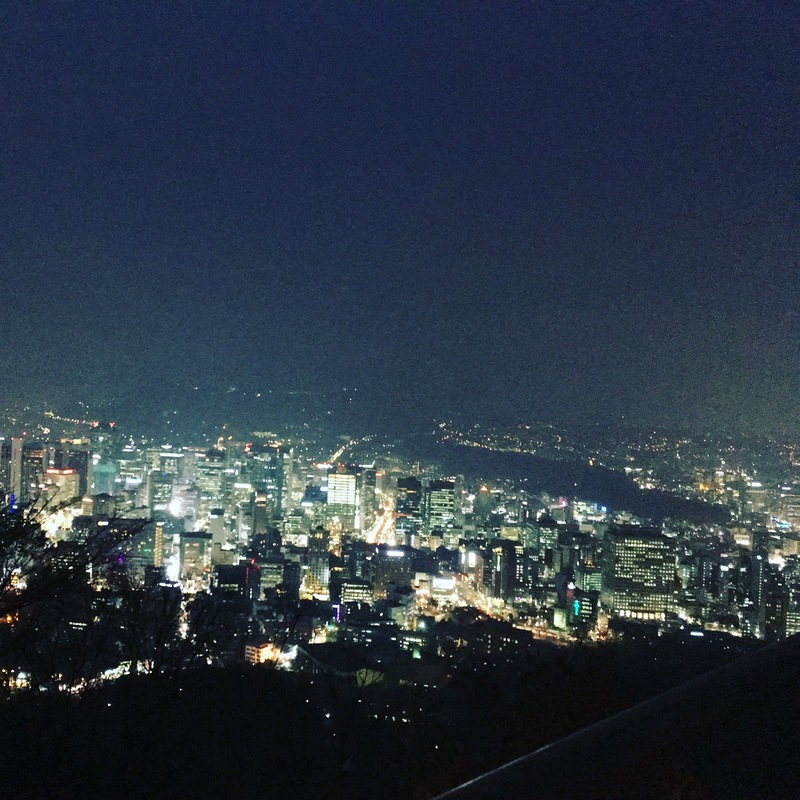 Seoul’s city lights from Namsan mountain. The days since we have been back have been odd. Here we are in what we’ve always known as normal, and yet, not the same. Our time in Korea feels like it was a dream. the stories of my roots, it’s now the first land of our daughter and always will be. It is the place where we first laid eyes on her and saw her smile. It’s where we saw her walk and run and grab at Matt’s eyebrows. More than ever, I am convinced that God’s hospitality and heart exist the whole wide world over; he has so much to offer us in lands and places and peoples we have yet to know. Next ›How Much Can A Heart Really Hold?